Ah, it’s once again time for the obligatory annual music retrospective. For me, 2012 was a good music year, and not just because of the albums released. I upgraded my long-broken stereo and finally got a turntable. It was also a year of catch-up: I spent several months checking out top albums from last year’s year-end lists, and found quite a few gems nestled therein. So some of my recent favourite albums ended up being 2011 albums, including Dan Mangan’s Oh Fortune and The War On Drugs’ Slave Ambient. Due to the sheer amount of interesting music released this year, it’s looking like 2013 will also require some catch-up, as there are many 2012 releases that I wanted to hear before I made this list, but haven’t yet. These include albums from Lower Dens, The Mountain Goats, Sharon Van Etten, Of Monsters and Men, and Neil Young. So, needless to say, the list below is fraught with limitation (not to mention my own relatively narrow music tastes), but still includes five stellar albums nonetheless. Not to be outdone by the bright lights of the past twelve months, 2013’s album offerings are shaping up nicely. New music is expected from Matthew Good, The National, Arcade Fire, Kurt Vile, Christopher Owens, Nick Cave & the Bad Seeds, and Starflyer 59. I wouldn’t be too surprised if new music emerged from Fleet Foxes and The Black Keys, too. Regarding 2012 releases, there were some disappointments. Dave Matthews Band’s Away From the World — the Steve Lillywhite-produced album being hyped as a return to the band’s heyday — turned out to be merely decent, and certainly a step below 2009’s Big Whiskey and the GrooGrux King. Matt Mays released the uneven Coyote, once again demonstrating that he’s great at making superb 6-track albums . . . that are 14 tracks long. I liked Metric’s Synthetica out of the box, but it quickly faded, yielding all its treasures on the first couple of listens. Buoyed only somewhat by a strong vocal performance, Mumford & Sons’ Babel also disappointed, fleshing out so-so songwriting with exactly the same bag of tricks found on Sigh No More (think Coldplay’s excessive recycling on X & Y). In fairness, I am aware that (especially factoring in sales), my takes on both the Mumford and the DMB albums are decidedly against the grain; many thought those albums bested their predecessors. Other albums were simply good, but not great. Bob Dylan’s Tempest was a solid album, as was The Tragically Hip’s Now For Plan A, but neither album is exceptional given each act’s respective back catalogues. The albums that I found to be somewhat in between good and great are listed as “Honourable Mentions” below. But enough preamble — onto the list! Here are my six favourite albums of 2012. Feel free to share your favourite album(s) of the year in the comments. The temples-bulging vocal delivery remains, as do the swirling lead guitars and crashing drums. Producer Phil Ek did a wonderful job with the album’s overall sound. Though it’s the songwriting that puts this album above its 2012 peers; there isn’t an average song to be found here. Even the B-Sides are good. 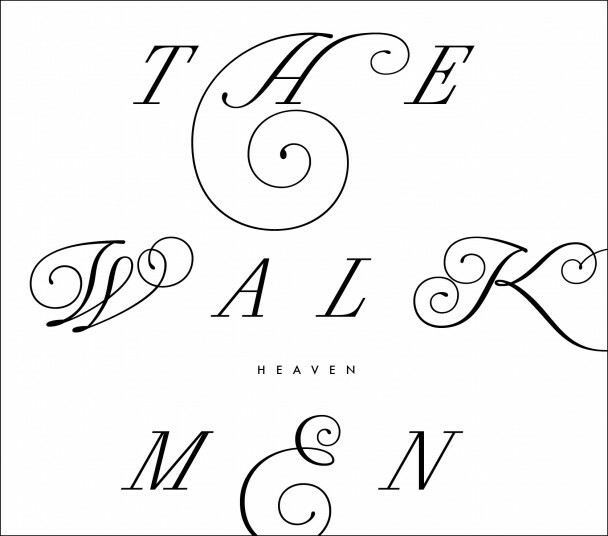 The classy black-and-white photography found in the album artwork only reinforces the conclusion that the Walkmen have grown up and settled down, but haven’t mellowed. They’ve simply channeled their intensity into differrent ends. This is mature alternative rock at its very best. Here is “We Can’t Be Beat,” the lovely opening track. Deep inside New Orleans, perched on the southwest banks of the Mississippi, you’ll find the neighbourhood of Algiers. For this album, songwriting duo Joey Burns and John Convertino left their beloved Tuscon, Arizona and immersed themselves in Louisiana. The all-analog recording results in production that is both warm and meticulous. 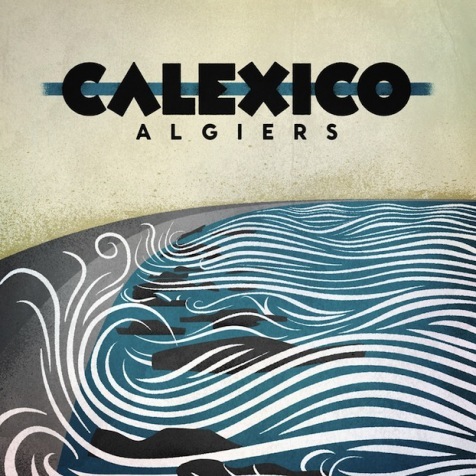 It’s so easy to underestimate Calexico, or to box them in as “that mariachi indie band.” This may be the album that makes more people sit up and take notice of them. The songwriting is always consistent on their albums, but here, I think it’s the instrumentation that really shines. I especially love the mellotron accents and the tone of John’s vintage drums. They wisely chose to keep the harmonies fairly simple, since the music is quite layered. The ballads on this album are also quite touching; lots of stories of immigration, moving on, travelling, searching. All in all a very rewarding record, one that really opens up after a few listens. Here is “Splitter,” the lead single released earlier this summer. Speaking of underrated, here’s the latest offering from James Mercer and company. There’s nothing flashy about Mercer: just hard work, great songwriting, and a “no, thanks” attitude towards musical fads (without falling back on worn musical cliches). As with The Walkmen, maturity is a hallmark of Port of Morrow. A central theme of the album seems to be gratitude to one’s friends and a concurrent awareness of our need for others: “I know that things can really get rough / When you go it alone,” he sings. That’s not a sentiment one often hears in the hyper-individualist world of popular music. The lyrics, while puzzling as a whole, nevertheless feature some arresting couplets: “Love is the ink in the well / When her body writes.” Nautical imagery permeates many songs as well. Mercer’s is also a unique instrument, clean and precise, yet always reaching for something beyond. He has expanded his backing band from 2 to 4 members, which really fills out the sound nicely. The drumming (courtesy of Modest Mouse’s Joe Plummer) features a lot of subtle innovation, and the guitars are tons of fun. This album also features Richard Swift on keys, who once played with Starflyer 59. The Shins are masterful in the little dynamics: transitions, bridges, and intros. All in all a very melodic and uplifting record, one that sweeps you up rather than inviting you in. And again, not a bad song in the bunch. Here is the single, “Simple Song.” A favourite of mine come quittin’ time on a Friday afternoon. Like its predecessor (2009’s Veckatimest), Shields is a dense and broody album, but that makes it all the more rewarding in the long run. Grizzly Bear is capable of sparse, intimate songs, and sweeping, epic songs, and Shields showcases both. Vocalist Edward Droste has gained some confidence as a singer, and the band has gained more directness as songwriters. Both of these are positive developments, and lead to some truly great moments, such as the hauntingly beautiful track called “The Hunt.” The band’s drummer, Chris Bear, has an incredibly inventive and instantly recognizable style. His rhythms are a huge draw for me, and contribute not just to the structure, but to the overall feel of the songs. Unlike Calexico and The Shins, this album has received a lot of critical praise and has definitely not been overlooked on year-end lists. It’s great to see a band increase in popularity without simplifying their songwriting or relenting on their intensity. Here is “Yet Again,” which, as I discovered during the band’s time on CBC Radio’s Q, also works great acoustically. Lyrics matter. That’s what I remembered when first I listened to this album by former Weakerthans frontman John K. Samson. Peppered with references to Manitoba landmarks and melancholy observations about prairie winters (“Cruel wind/ Cracked lips / Sun lost by four”), Provincial is powerful for any listener, but even more so if you know the places Samson is singing about. This record introduced me to a lot of Manitoban history, including the fascinating story of the Ninette Sanatorium. Samson really is a gifted poet, though his music is equally thoughtful. Here is “Letter in Icelandic From the Ninette San,” perhaps my favourite song on the album. M. Ward may be underrated as well, perhaps because he chooses to work within traditional genres and pay homage to the musical greats who came before him. His soothing, almost ethereal acoustic strumming is instantly recognizable. The close mic’d guitar reveals every little finger squeak, and Ward’s gentle vocal delivery makes this album a great Sunday afternoon choice.